We offer a wide selection of materials and programs for children of all ages! Stories, mimicing movements, songs, rhymes, finger plays, coloring & playtime! Stories, exercise, songs, rhymes, fingerplays, coloring & playtime! Stories, songs, rhymes, finger plays & coloring, and playtime! For this nontraditional story time, preschoolers are given magnetic objects to put on a scene page to create their own story and share with everyone. Great for encouraging creativity, imagination, story-building and to get over shyness! REGISTRATION REQUIRED & OPENS 2 WEEKS BEFORE EVENT. Mr. Jason will read books about teeth and the dental office will have a free toothbrush to give to kids. Spots are limited as they have a small office & small parking lot. Story time with songs, books, and a craft. FREE coffee for adults. Mr. Jason brings books, songs, and a variety of toys from the library for everybody to enjoy outside. Also, check out the Story Walk from Delaware County Libraries! Kids, tweens & teens are welcome to come to MFL for FREE yoga classes! Guest certified yoga instructors will teach different poses, breathing techniques and flexibility for a fun and relaxing means of exercise! The library provides the mats, just bring the kids in comfy, stretchy clothes. Registration is not required! Held in our Community Room downstairs. Monthly with a different art project/activity. Registration is required as space & supplies are limited. Check our calendar above for our next class! Coding+ is a team of dedicated teen volunteers from Penncrest High school. They run our popular Coding+ Summer Camps, but they also come during the school year for after-school coding! Teens show your kids how to do some basic computer coding using Scratch, Microbits, Turing Tumbles, and a few other resources. Registration isn't required. Bring your own laptop/Chromebook, if you can. Otherwise, the library has a limited number of computers available to use. You don't have to stay for the full 2-hours. Students move on their own pace and ask teens for help along the way. Join us as Veronica Batter of the Rockdale Art Center teaches us how to paint a beautiful Spring nature scene. This fun-for-the-whole-family night is also a great way to kick off Mother's Day Weekend! Support your favorite Library while spending time as a family! Some snacks and drinks will be provided, but feel free to bring something to share with the group! Proceeds go towards programming at the Middletown Free Library!! Are you a homeschooling family looking for some new, exciting, tech-based instructions to incorporate into your lesson plans? Mr. Jason & the MFL staff have got just the thing for you! Join us every month for a different session where we will share and show your homeschoolers some of our CreateSpace equipment. 3D Printing, Circuitry, simple coding, etc. Come join us to learn something interesting & cool! "PAWS for Reading offers children & adults the opportunity to read aloud to a well-trained therapy dog (cat or bunny) in order to improve their reading & communication skills." REGISTRATION IS REQUIRED AS SPOTS ARE LIMITED! Registration opens 2 weeks before the event to cut down on the number of no-shows. On the day of the visit you will sign up for a specific 10-minute spot. Ages: Birth-3 years with an adult partner. 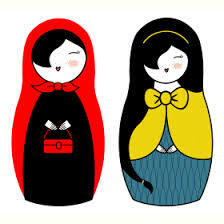 "Learn, move and play along as we read old favorite and modern Russian children fairy tales, poems and rhymes. Join us at the Middletown Free Library for fun reading activities, meet friends and practice Russian. This is a lively language enrichment story time for babies and toddlers, but ALL ages are welcome to come and learn some Russian words & phrases!" "In YogaKids program we do yoga poses, work on our balance, practice breathing/visualization and play yoga games. The last 15 minutes we do a craft. We often work with our feet and toes, so make sure your child is dressed in a comfy, stretchy clothing and can remove his or her socks for some of the poses. I speak and explain everything in Russian. If a child has difficulty understanding Russian, I repeat in English." ​"High-energy, fun, interactive Spanish lessons taught entirely in Spanish by a certified Spanish teacher. Songs, games, rhymes, movement, stories, and laughter!" Mr. Jason, Mr. Derek, and the rest of the MFL staff are busy planning a wide variety of programs for all ages to enjoy over summer. Here's what we have so far, but with much, MUCH more to be posted. "A fun & free science education program sponsored by GSK in partnership with The Franklin Institute. Introduce students to the wonderful & fascinating world of science through classes held in local public libraries & taught by certified teachers. Classes are small with 16 students each, so be sure to register early!" Coding+ Camp: 12-2pm for kids able to read independently and use a computer (suggested 1st grade & above). Bring Your Own Device if possible. Run by an amazing group of volunteer Teens from Penncrest High School! ​REGISTRATION BEGINS MAY 15TH @ 10AM. Limit 1 week per child.